Se sei uno studente d’italiano e sei arrivato su questa pagina, ti chiederai quale sarà o quale sia il mio metodo d’insegnamento (“sia” o “sarà”? Dipende dall’ incertezza del futuro o dal dubbio da congiuntivo?) che ho usato e che uso nella mia professione libera di scrittore. Il livello che ho proposto allo studente adulto della Bella Lingua in tutti questi anni d’insegnamento, va da quello che comunemente viene definito il superamento del livello Way stage-Elementare fino ad oltre l’Intermedio. Per capire i livelli linguistici dell’italiano,← guarda il link. He who brings himself to a foreign land usually puts in his luggage a dictionary of the language that is spoken rather than a grammar book.” This expression, attributed to the Californian linguist Stephen Krashen has redefined the parameters of the didactic language of the last 30 years. Every class I held in my teachin history, before at the Dante Alighieri Society of Boston and then as a privat tutor in New York, springs from the Natural Approach formulated by the linguists Stephen Krashen and Tracy Terrell. Accordingly the program is organized and based upon situations viewed as functional in the activities of everyday life, linguistic accomplishments carried out according tonatural and spontaneous rhythms. The atmosphere is relaxing and at the same time stimulating. The Natural Approach hinges on implicit memory (and consequently forms part of one of the Communicative Approaches); like when a child knows how to ride a bike without remembering how he learned to do so. The acquisition of knowledge comes casually without the necessity to “pay attention” or “concentrate.” In fact, neurologists tell us that external information, the “input,” is gathered by the brain and goes from the right hemisphere to the left. Everything learned in class settles deeper and stays longer in the memory. The material brought to my private tutoring or literary class reflects precisely this process. First we seek to stimulate emotions by remembering past experiences in life. Then we analyze a text in order to understand it, and then only after this do we use the text in role playing games. We will see how this is done. This theory which we will call the Humanistic Affective Communicative Approach helps us to tolerate errors. What does this mean? In order for there to be acquisition it’s necessary for the student to feel welcomed and liked. He needs to feel at ease, not to feel afraid of losing face or of making a bad impression or to be judged negatively. This is the essence of the teacher as linguistic facilitator. In light of this I would not directly correct the student, but instead offer a gentle correction by the teacher repeating the sentence in the correct form, without indicating that the student has made a mistake. This allows the student to speak without interruption, until he completed his thoughts. The learner therefore has his own linguistic path that evolves by means of attempts, discoveries, and hypotheses that he evaluates himself. It will be easier to reach acquisition through positive emotions and also when the student feels appreciated and esteemed. Learning doesn’t need to become a struggle or something that causes the student to lose his self-esteem but rather a pleasure. And, most importantly, effective communication has priority over accuracy. To sign off on and lend authority to the instructions that come from linguistics is the Council of Europe which in the 1970’s was already defining the threshold or minimum levels of mastery that would allow a person to manage the social life of a foreign land with sufficient autonomy based on practical needs. Emphasis is put on management of the classroom, how to position the chalkboard or the desks, or the physical posture of the teacher and the distance between the teacher and the student. A monologue by a professor at the rostrum has not worked for decades, if it ever worked. The ability to listen involves the willingness on the part of the teacher/linguistic facilitator to become part of the emotions of the class and to be interactive. The longer the teacher speaks, being anxious to bridge the communication gap, the more the students become distracted for the simple fact that it is very tiring to continue to listen to someone, especially when they speak in an unfamiliar language. According to this line of thought, the Council of Europe issued the Common European Framework and established the skills necessary for learning a language. It came into legislation based on the need for a change. During the 1980’s people were moving beyond the borders of Europe, overcoming the Berlin Wall and linguistic barriers. According to the Maastricht Treaty, that large group of people who share a threshold level of English should choose other languages for reasons of pleasure as well as need. The approach of the Council of Europe is therefore oriented towards action: in the new version of the certification of linguistic skills they consider people who learn and use a language primarily as members of a society who have tasks like, for example, ordering at a restaurant, asking for directions, expressing personal opinions; in summary to measure the level of the mastery of the language in the context of family, profession or everyday activities, according to the Communicative Approach. In all of the textbooks the units include now vocabulary fields with images of, for example, the parts of the body, pieces of furniture in a house, items of food or reproductions that portray scenes like a station, a market or a public square. To have these practical competencies or, as we have explained in the introduction, these verbal situations seen as functional to the activities of every day life, it means that it is not necessary to learn the verb tenses right from the beginning of the lesson; but rather to have the ability to present oneself, to talk about your health, to express your likes and dislikes, to give and receive instructions or information, to ask for or prevent an action, to give a greeting, to offer, to accept or refuse something, to thank someone, to describe persons or events, to speak about travel and current events, to speak about your hobbies or what you like to do in your spare time, etc. Each of these functions is carried out based on the class level. Psychological theories tell us now that first we observe an object in its entirety and then we pay attention to details. With the Inductive Method, used by the Communicative Approach of Krashen, (as also by the various Communicative Approaches related to the presence of music in the classroom or related to repetitive exercises) the discovery of the rule is induced at the end, that is, after the student has discovered its use in the language. Only in this manner are grammatical rules easily memorized, as we mentioned in our introduction. In fact, the memorization of information increases if the person is emotionally involved. All of the textbooks we use go in this direction. In the first part of the lesson we seek to arouse interest and curiosity for the proposed activity, reading or video, and therefore create motivation and anticipation by means of images, discovery of the vocabulary that is already known, and exploration of the key words that the student will encounter. 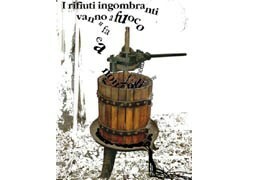 In the second part, the student begins to have exposure to an authentic text in Italian (a type of text that could be a table of train schedules or the reading of an announcement, or a newspaper article, a recipe, a notice, or listening to a dialogue not scripted but spontaneous between two speakers whose mother tongue is Italian). In order for the student to be able to discern the “who” “where” when” and “what is happening,” we use other techniques like, for example, comprehensive charts, true or false questions, or multiple choice (where it’s required to recognize the right form, substitute it and complete it, so that the student remembers and can recall it), or for example following a map of a city transforming the words associated with the image or drawing. In the third part attention is drawn to analyzing a particular communicative need, that is, for example, how to give a greeting when you enter a café, or how to communicate an action from the past, or how to confront cultural problems like the role of a woman, etc., according to different class levels. In the fourth part there will be a synthesis and use of communication, that is, the student will work with a dialogue, do role playing or dramatization, asking them to relate ”what did you do yesterday” or, for the lower levels, having them do a written activity that requires the reusing of a rule with repetitive exercises, almost becoming an automatic habit without thought (the pattern drills) fixing it in the memory without any communicative purpose. In the fifth part, drawing from all of the grammatical analysis, the schematic is internalized, the hypotheses that the student has made previous use of are verified, and with further reinforcement exercises and activities one measures the knowledge acquired, for example with exercises of filling in blank spaces, dramatizations, open dialogues and summaries, etc., in order for the student to be able to utilize the rule with more understanding.